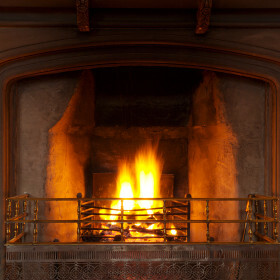 Get together in Welsh border country for special celebrations in front of flickering fires. Be noisy in a neighbour-free nirvana and fire up the Aga for a feast in a grown-up getaway. Sleep off indulgences under duck-feather duvets to the soundtrack of rustling leaves and hooting owls. 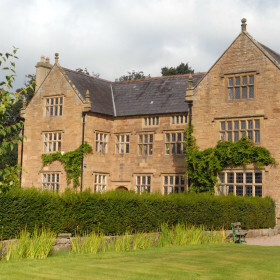 A mile from the market town of Mold, The Jacobean Hall dominates the skyline. 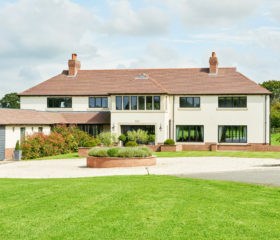 Rising majestically from its own private grounds, it’s an invitation to get together, to enjoy good company, to take time out to celebrate life. 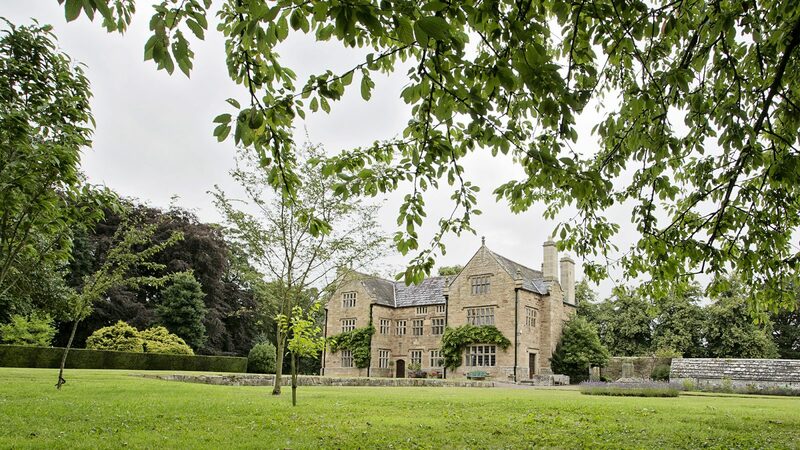 The Jacobean Hall is a grown-up getaway, a special celebration within historical grounds, a Grade I-listed manor house just inside Wales. 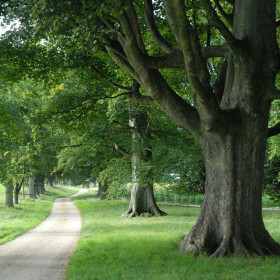 Standing guard over the peace, silence and beauty are ancient oaks and elms. The hush here is broken only by the hoot of an owl at night or by bat wings at dusk. 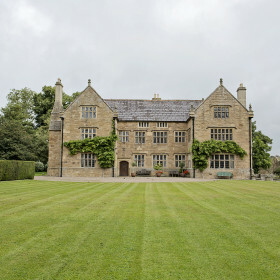 The long and winding drive takes you past croquet-ready lawns to a Jacobean world where the oak-panelled hall hangs heavy with family portraits, where you light the logs in the drawing-room and gather for a feast in the dining room. 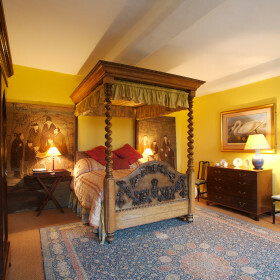 The Jacobean Hall sleeps 14 (22 including the Coach House) in swish bedrooms awash with four-posters, Italian Frette linen and duck-feather duvets. Get the clan together, be noisy in a neighbour-free nirvana, eat in, eat out in the country pubs, raise a glass to the good life. 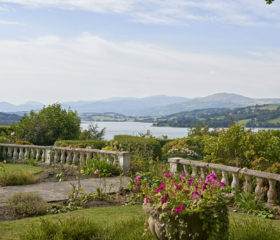 Party in the park on the The Jacobean Hall Estate, with its 100 acres of rolling parkland in the shadow of Moel Famau. When the neighbours are bats and bluetits, and oaks and elms, you can be as noisy as you like. 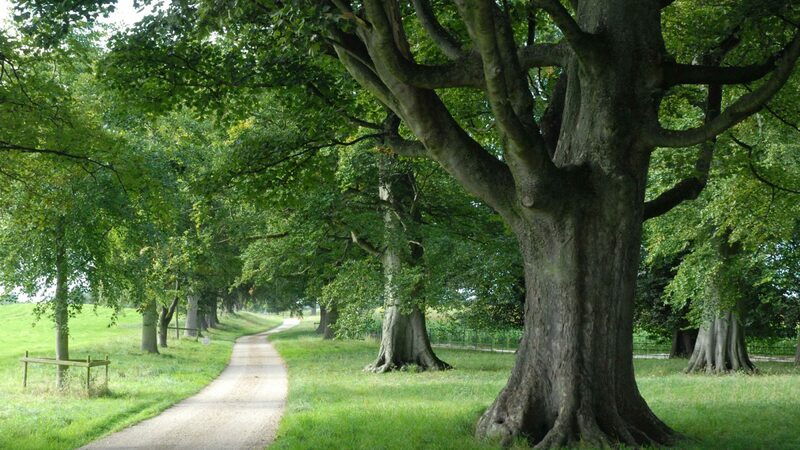 Follow the tree-lined drive to the three acres of garden within the surrounding stone wall to the historical lletai – vaulted cells once home to wayfarers and travellers displaced by the dissolution of the monasteries. 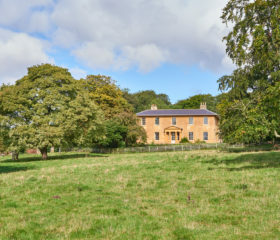 Sit out front facing south and toast the rolling acres, walk the Victorian walled garden of the staff cottage with central lawn, fire up the barbie and sizzle some steaks in the country air. Pack a picnic and follow your nose down to the River Alyn. Take each other on at table tennis, try your hand at croquet. Sit back and listen to the symphony of the seasons in a place where privacy is paramount. Spaces are special here. 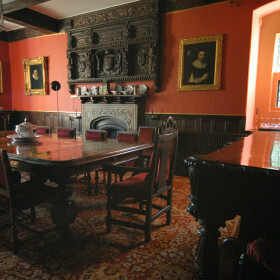 The Jacobean Hall recalls a world of gentlemen with canes perched before roaring fires ticking off misbehaved youngsters. 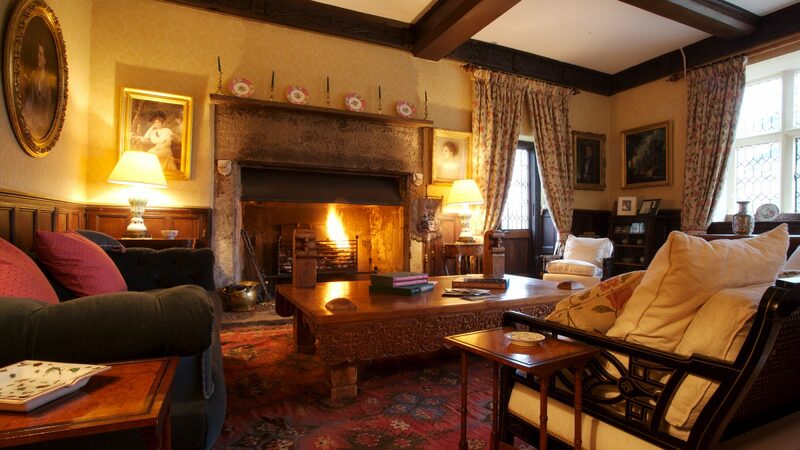 Those roaring fires are still there but, for you, the only reproaching will be about why you didn’t come sooner. The entrance hall comes laced with history. 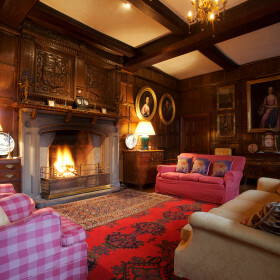 It’s there in the medieval oak screen and in the mantel in the oak-panelled hall bearing the coat of arms of the Lloyds of Pentrehobyn and of Morgan of Gwylgre. The latter depicts three heads of English captains removed in an attack on the army of Randulph, Earl of Chester. 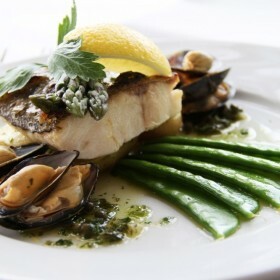 Options from here are more savoury but equally sumptuous. 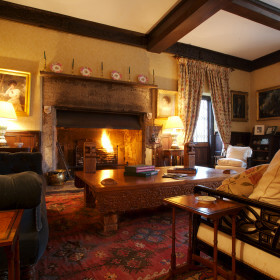 Log fires loom large within original fireplaces. 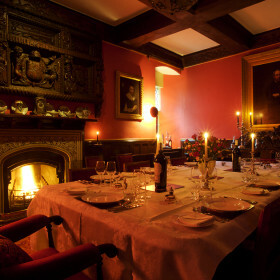 Take a tipple or break out a book before the crackling flames in the main hall, half-panelled dining room or drawing room. There are places here to gather or get completely away. 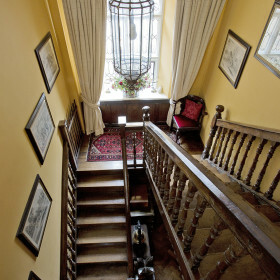 Follow the panelled stairs hung with historical portraits to the second-floor movie room beneath oak beans adorned with the ancient marks of craftsmen. History here sits cosily alongside the modern-day marvels of WiFi. 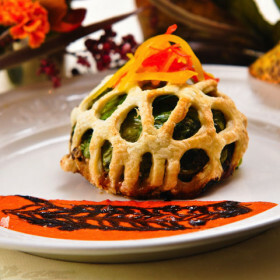 If you know your artichokes from your enchiladas, you’ll find catering contentment at The Jacobean Hall. 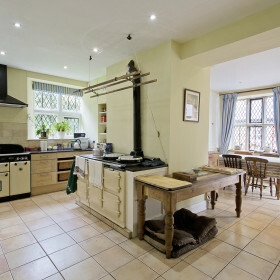 Muck in around the Aga and Rangemaster hob and oven, or put your feet up and let us take the strain. You’ll like the options. Fill up as formally or informally as you choose. Get the day off to a great start with a Full English. If you’re planning a picnic, we’ll pile in with menus and can even dish up afternoon tea with Sultana scones, homemade jam and clotted cream. If privacy is important, we’ll stay well clear and deliver pre-prepared drop-off dishes. can feed armies of up to 200 – perfect for parties. 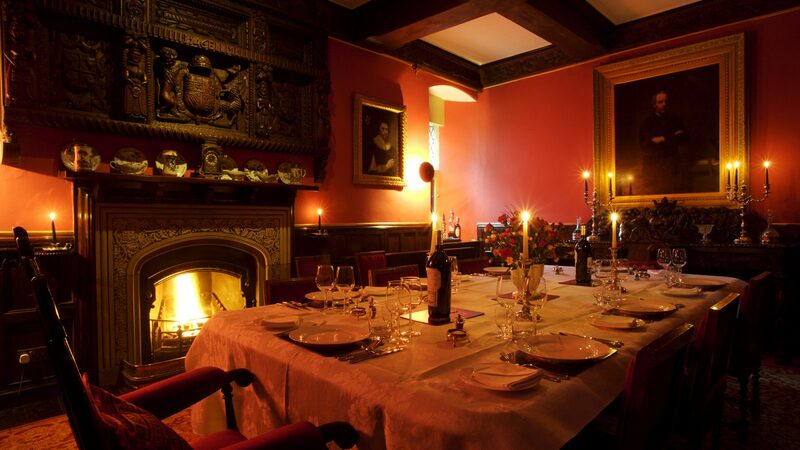 If you’re venturing out, there’s hearty and wholesome drinking and dining at Glasfryn in Mold and fine dining at On the Hill in Ruthin, or Sticky Walnut and Joseph Benjamin in Chester. 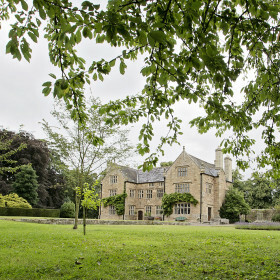 The Jacobean Hall sleeps 14 in seven bedrooms. 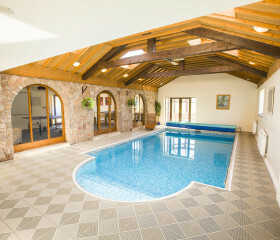 Throw the Grade II–listed Coach House into the mix and you’ve enough beds for two cricket teams. 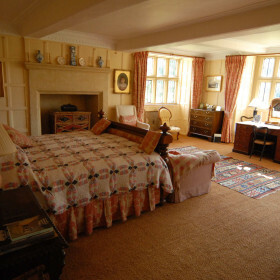 Back in the 18th century, the master bedroom was once the original drawing-room. The panels, the portraits and the pomp and circumstance confirm it. 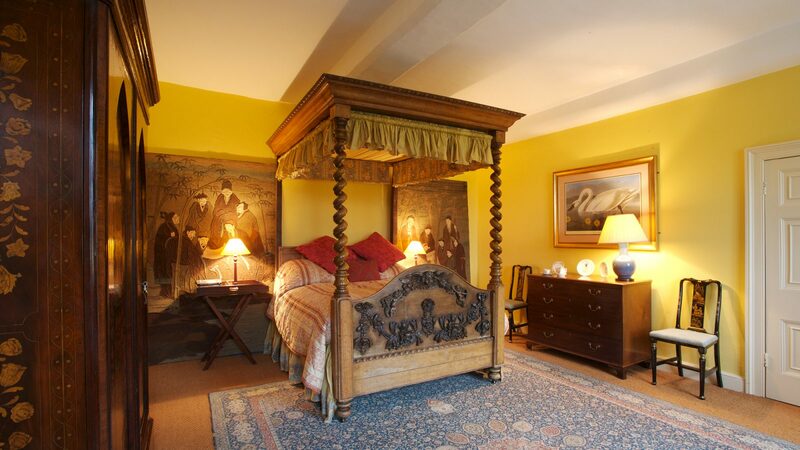 Bedroom two is a large double complete with four-poster and spectacular period art. Follow the adjoining passage to find the bathroom. Bedrooms three and four are spacious and stylish. 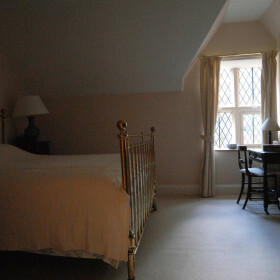 On the second floor, bedrooms five and six come with super-king-size beds. Keep them that way or convert them to singles. It’s your call. Bedroom seven is queen-size. It’s the smallest room, but you’ll still feel like royalty. All bedrooms come with adjoining bathrooms, duck-down duvets and Italian Frette linen. 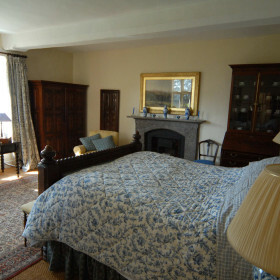 Throw open the windows, breathe the brisk rural air and sleep the Jacobean sleep of the just. Chester and North Wales are all grown-up for celebrations, hens and civilised stags. 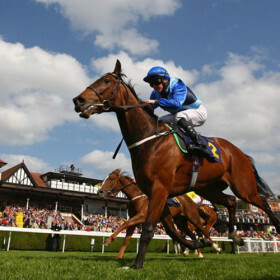 Enjoy racing and riding, paintballing or polo, music theatres, bars, bistros and boat tours. 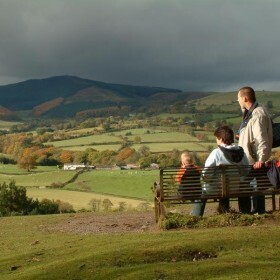 Clear your head on a hike through Loggerheads Country Park. 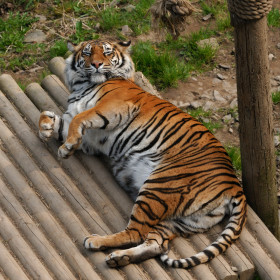 Animals and adventures are queuing up to appease the kids.